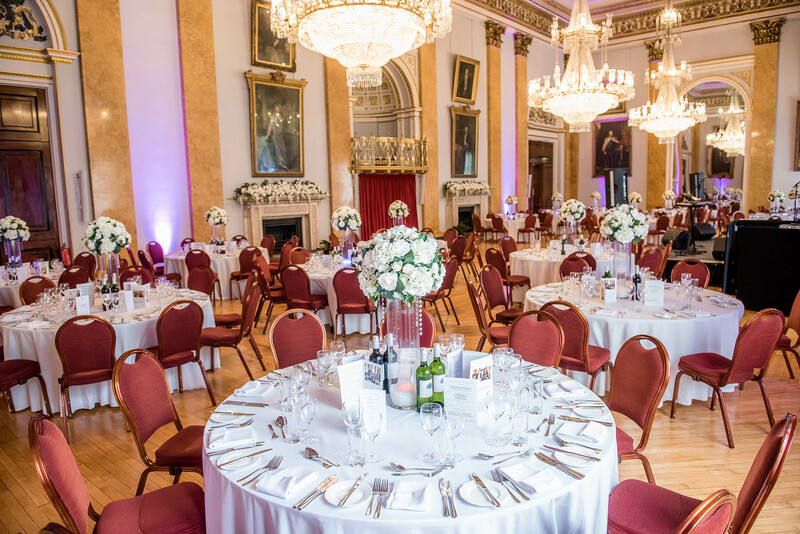 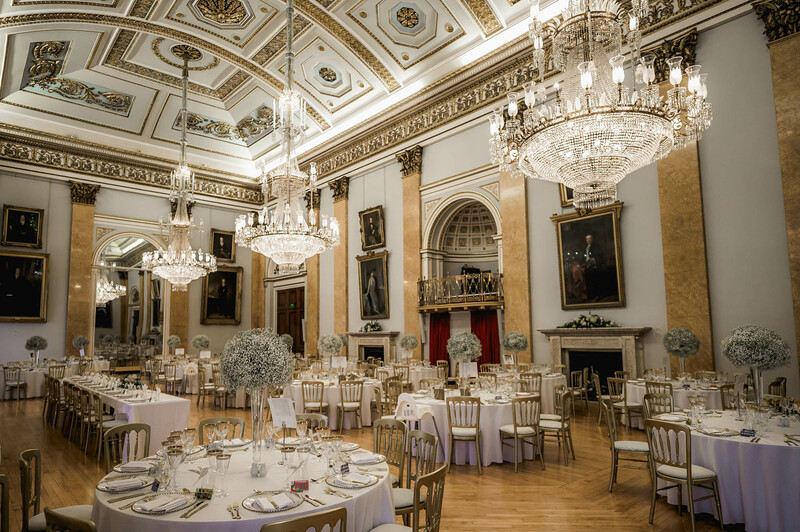 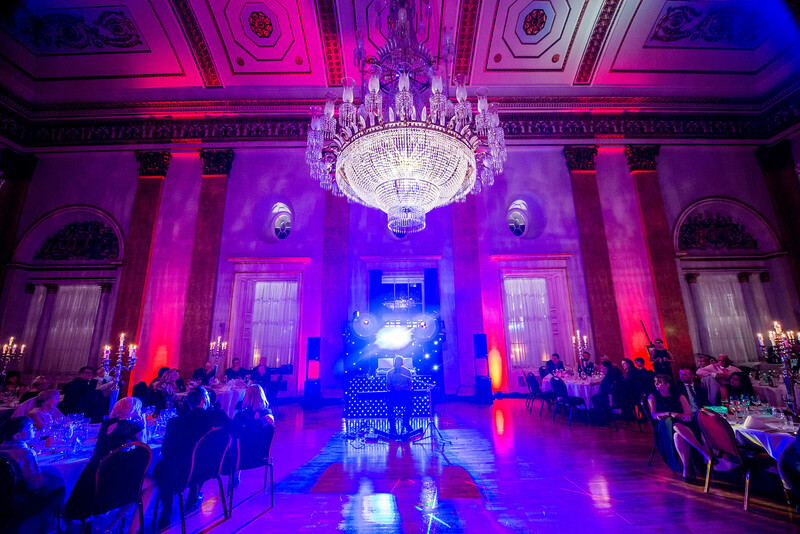 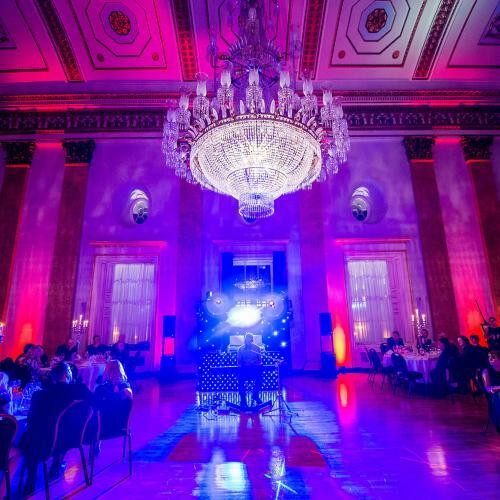 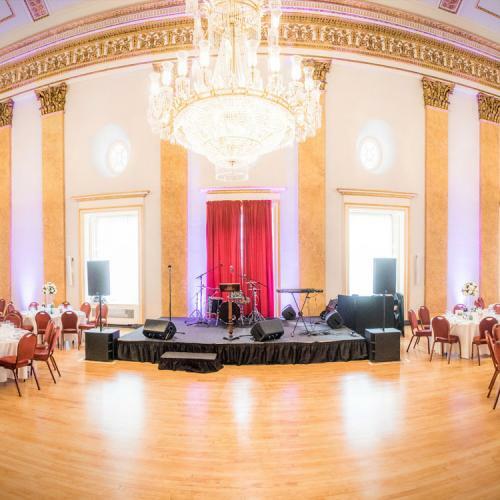 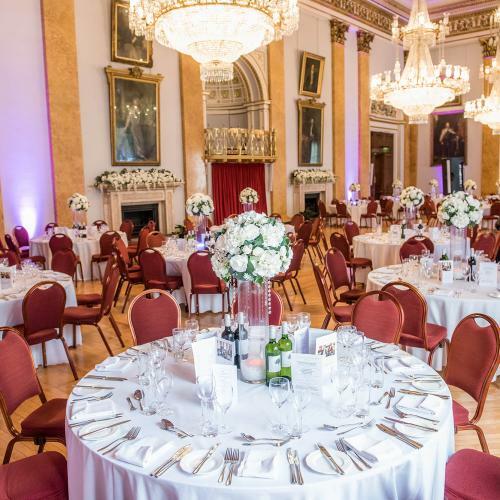 The Main Ballroom offers a unique setting for 200+ guests, seated beneath three of the finest Georgian chandeliers in Europe. 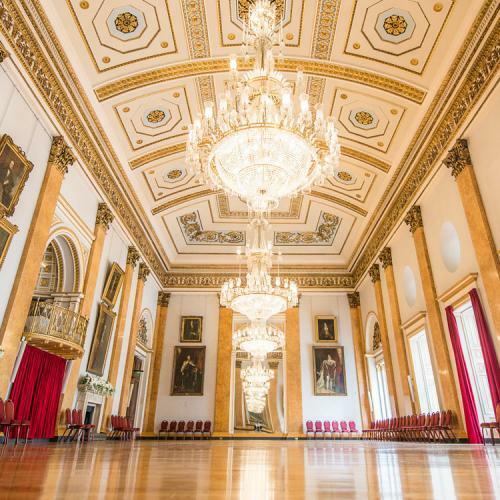 Made in Staffordshire in 1820, each chandelier is 8.5 metres (28 feet) long, contains 20,000 pieces of cut glass crystal and weighs over one ton. 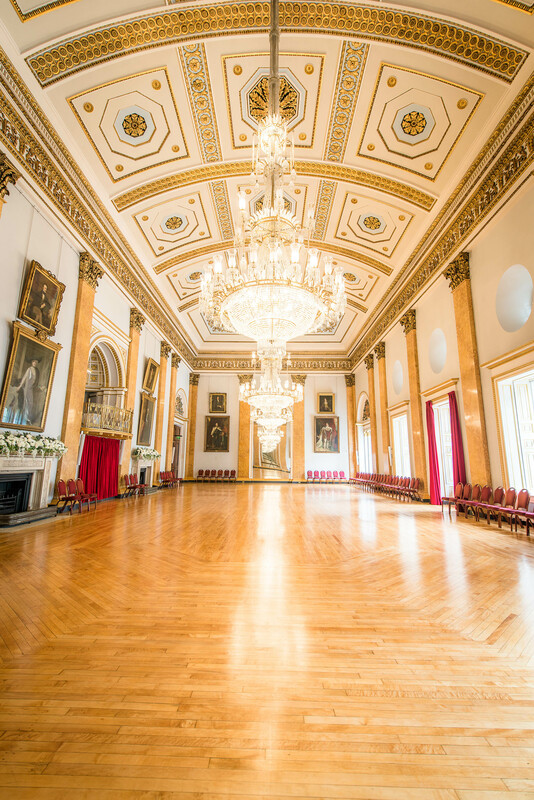 The room has a sprung maple dance floor that has been specially made for dancing. 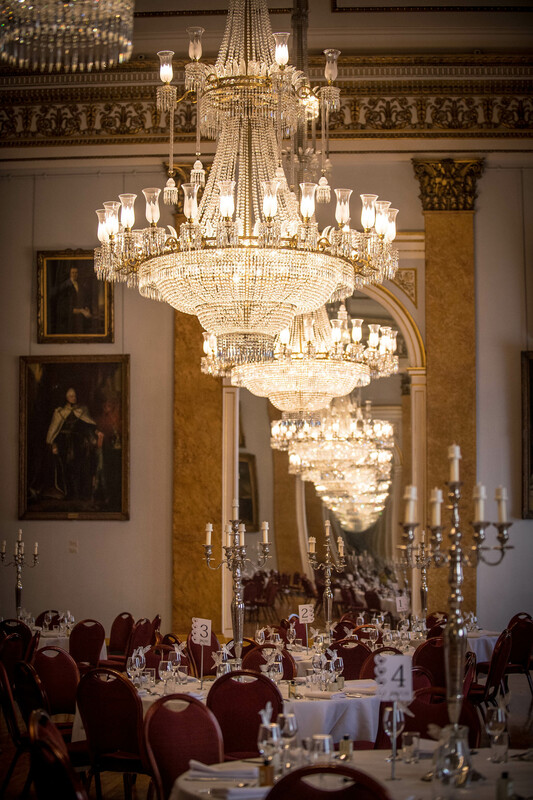 At each end of the room are two floor-to-ceiling mirrors, specially designed so that people could admire themselves during balls and banquets. 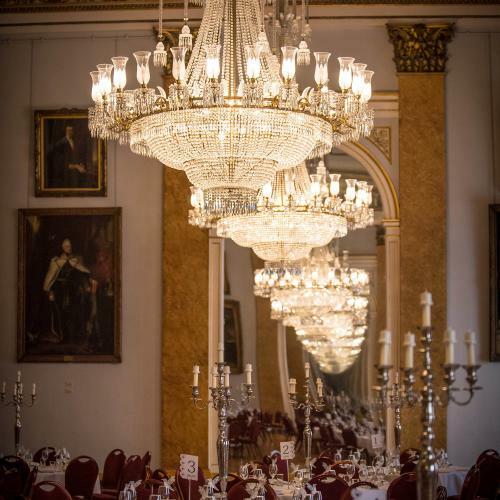 Standing in between these two mirrors it is possible to see one’s image reflected into infinity. 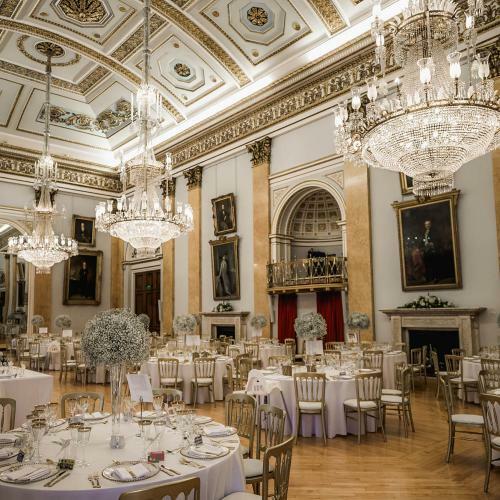 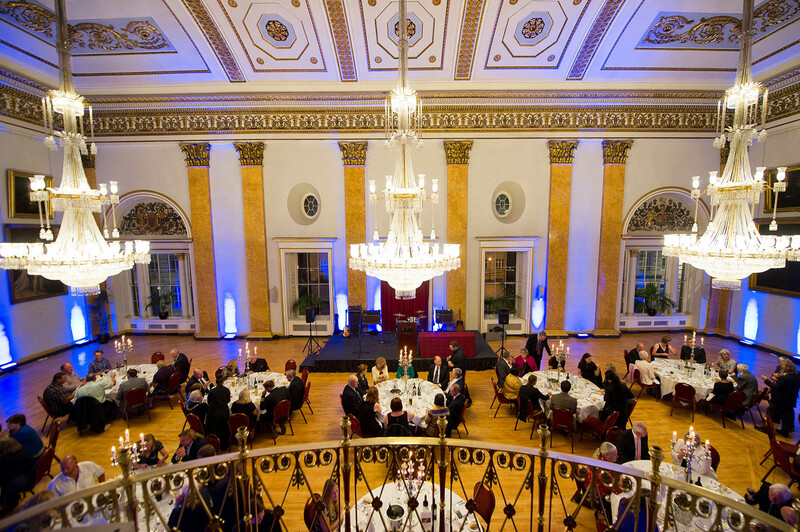 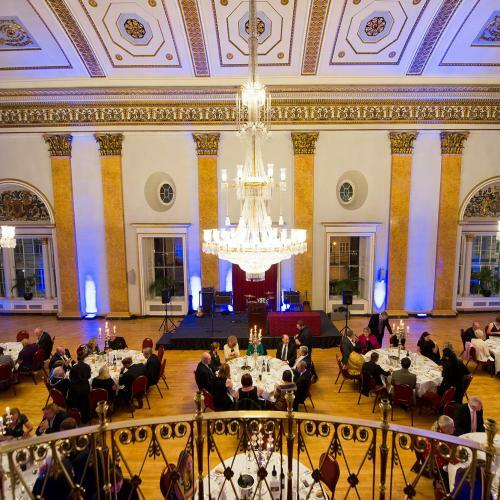 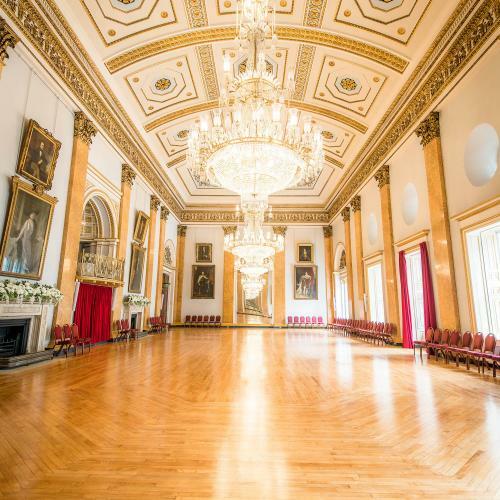 The Large Ballroom is 27 metres (89 feet) long and 12.8 metres (42 feet) wide with a 12 metre (40 feet) high ceiling.